Me and my friends were suppose to go to Osmeña Peak early Sunday morning until that last-minute decision (Saturday night) when they tell you they can’t go. It is not much of a disappointment for me since I can always go to places alone. 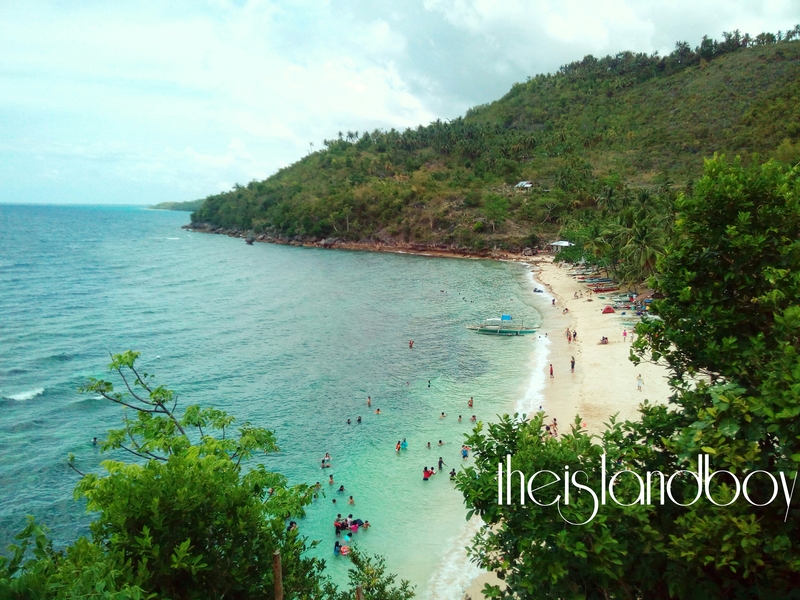 That night I just thought of going to Aloguinsan and to visit that Hermit’s Cove I’ve read in a blog online. Early Sunday morning, without hesitation I decided to go. But I don’t know where to take the bus going to the place. My phone’s internet is not working and so I called up a friend around 6 AM to ask for an idea how to go to Aloguinsan but I got no answer — what do I expect he must be sleeping. After trying a couple of times to connect to the internet, I was able to find out which Bus Terminal to go to — Citilink. It is hard to find a V-hire (van for hire) going straight to Aloguinsan so I take the V-Hire going to Toledo City (about an hour). From Toledo I ride a Jeepney going to Aloguinsan ( about 20-30 mins). The jeepney stopped in Aloguinsan proper where a lot of motorcycle drivers offered me a tour around their place and that can take me to the cove. On my way to the cove, the motorcycle driver suggested that I should take a look at the Bojo River which I thought it’s on a different route. 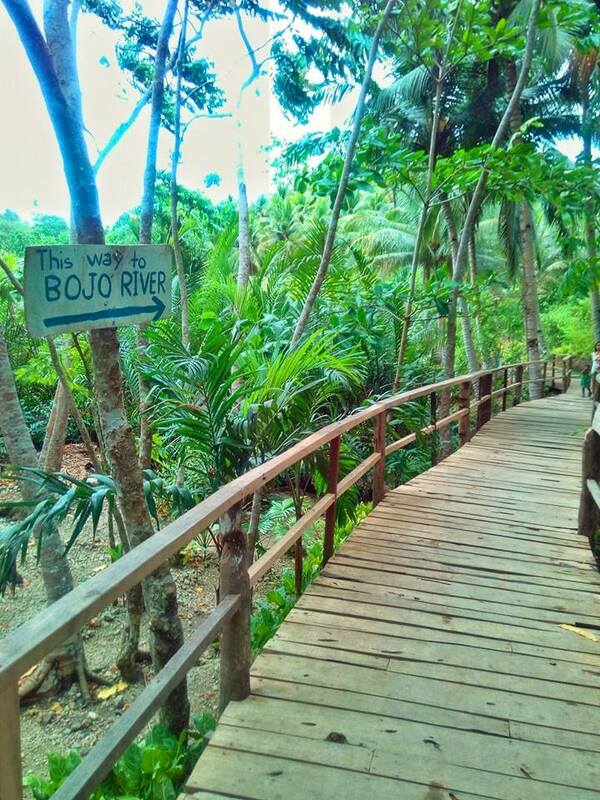 The Bojo River is about 230-meters away from the road where we stopped. It will be an easy steps going to the river since there is a concrete-wooden pathway. As you walk, you will be greeted with trees and growing mangroves surrounding the pathway. The river is calm as I wanted to jump and swim. But wait! 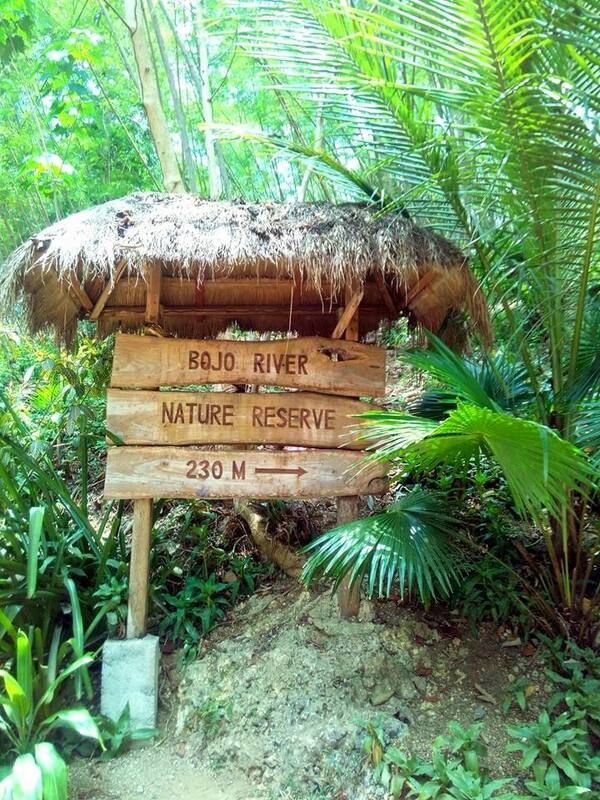 You will be asked by a local coordinator if you have booked for a Bojo River Tour and I said no and that I jut wanted to see the river and take some pictures of it. It would be nice to go on a river cruise but I’m just alone. It will be boring I guess. I continued heading to the cove where travel time is around 20 minutes. I noticed we were going to the mountain. It was a smooth-rocky-smooth-exhilarating ride. Going down to the side of the mountain you will be greeted with this view. A fee of Php 50 will be collected upon entering the cove. The 2-hour travel was worth it just by looking at this beautiful cove below. It was Sunday when I went there so there’s quite a number of people in the cove. 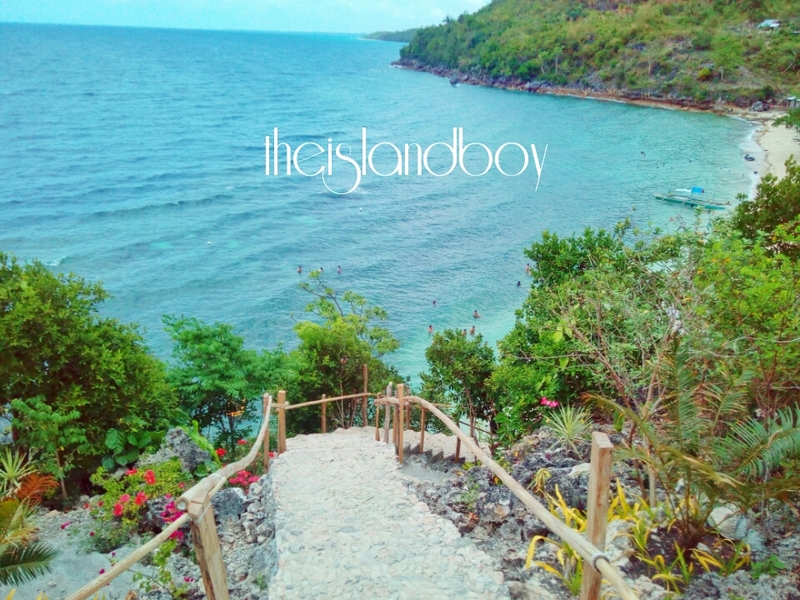 There’s a stairs that will lead you down to the cove and yeah my kind of stairs with an amazing view of the beach. There’s no available rooms in the place but a couple of families (and they are very friendly and accommodating) who lived there are willing to accommodate visitors for a very affordable price (around Php 300) only that you will be staying in a cottage without a wall — yes only the roof is present and some wooden benches where you can use to sleep. You also have an option bring your own tent. There is a potable water available and a dressing room in the area too. It’s around 4 o’clock in the afternoon and time for me to say goodbye to this lovely place. A few glimpse before I leave. 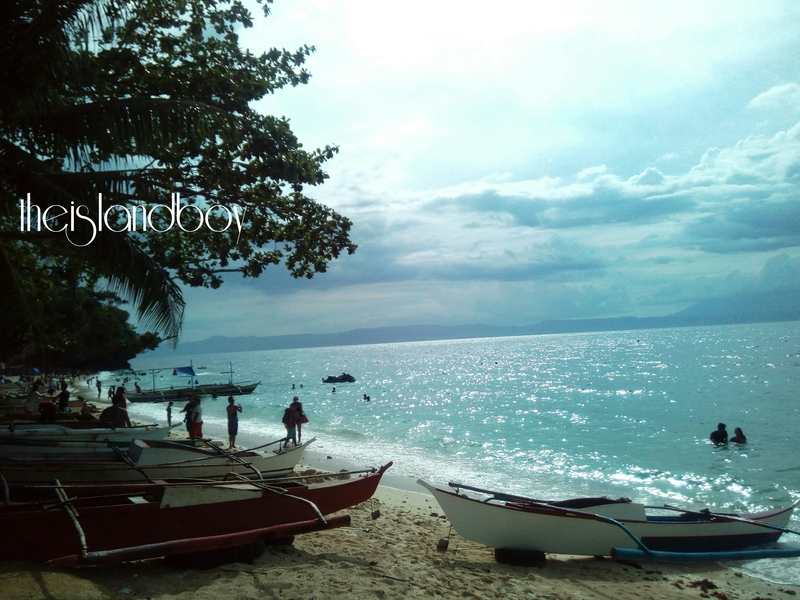 Aloguinsan is definitely a paradise that needs to be discovered. 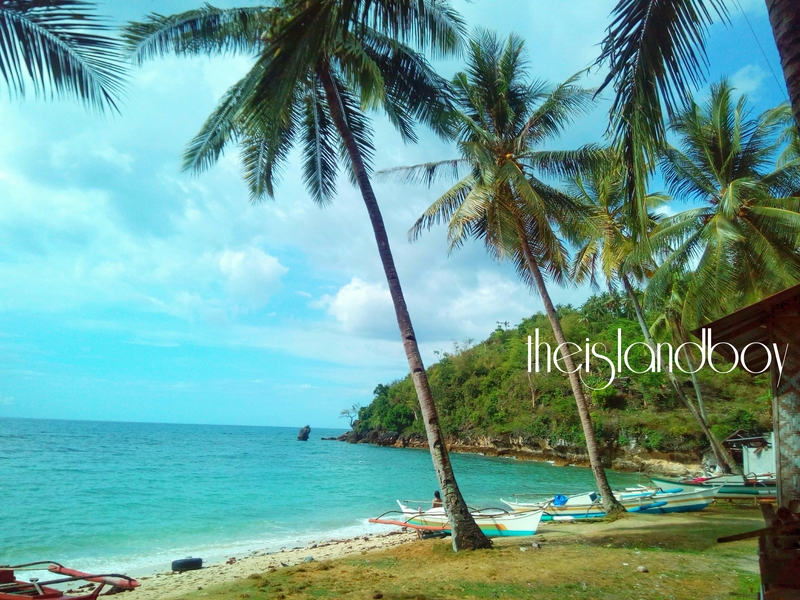 The picturesque scenery going to the cove is breathtaking and with it’s white sand beach is just perfect to be called a paradise. 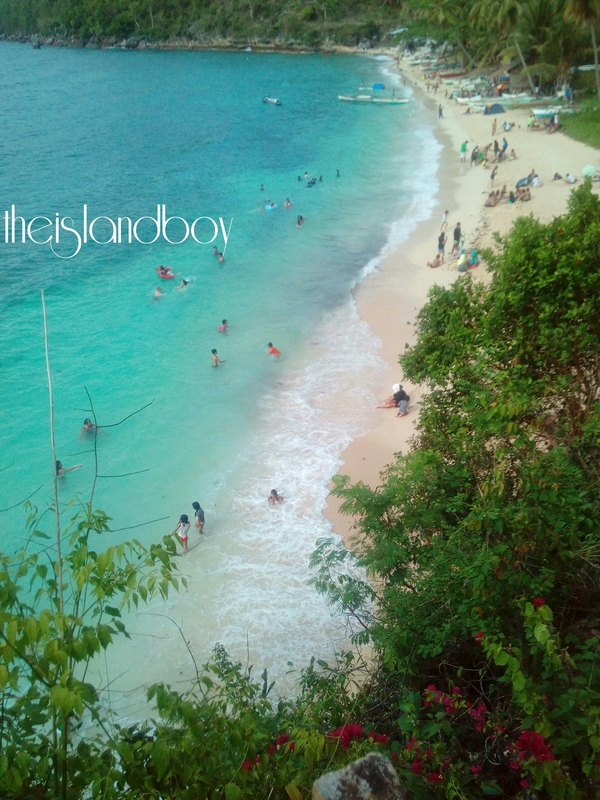 I will definitely going to be back to this place maybe next time for an overnight with friends to be more fun! Aloguinsan can be reached by buses or Van for hire (V-Hire) at the Cebu South Bus Terminal or Citilink. 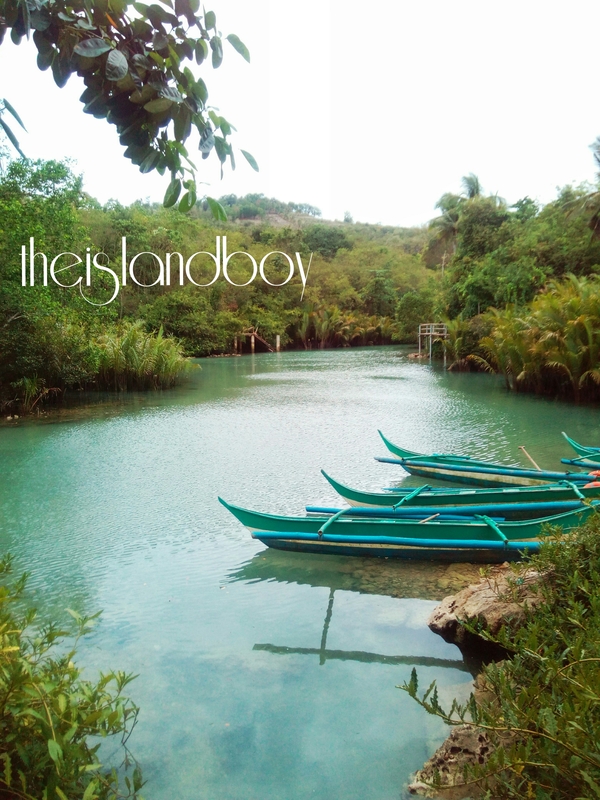 MOTORCYCLE – Aloguinsan Proper to Hermit’s Cove — Php 50 . NOTE: If you are solo in a motorcycle you will pay the full Php 100. 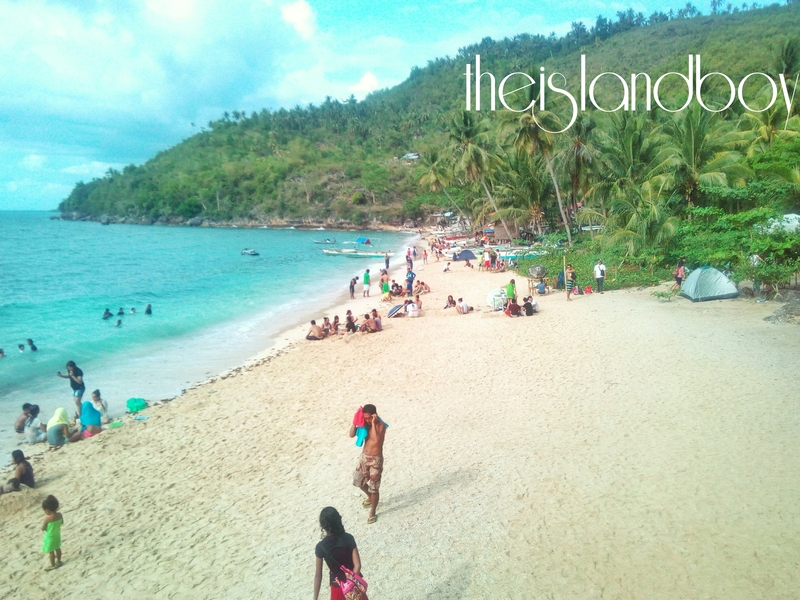 You can also asked the motorcycle to fetch you going back to Aloguinsan proper from the cove on your own desired time. Thanks for this awesome post. Siguro mubisita ko aning lugara one of these days kay wala man koy travel for this month. Bat wala kang photos sa self mo dun? Wow! Places like this one are worth it. How much one spend kaya for a one day visit? Pwede mo ask? From aloguinsan proper to hermitt’s cove kay pwede maagian ug 4 wheels? It really looks nice. Yes pede but expect some part may be rocky 😉 its really is a nice place . hi, I am Alagad Ng Asin. Place is nice, breath-taking. .
Hi! 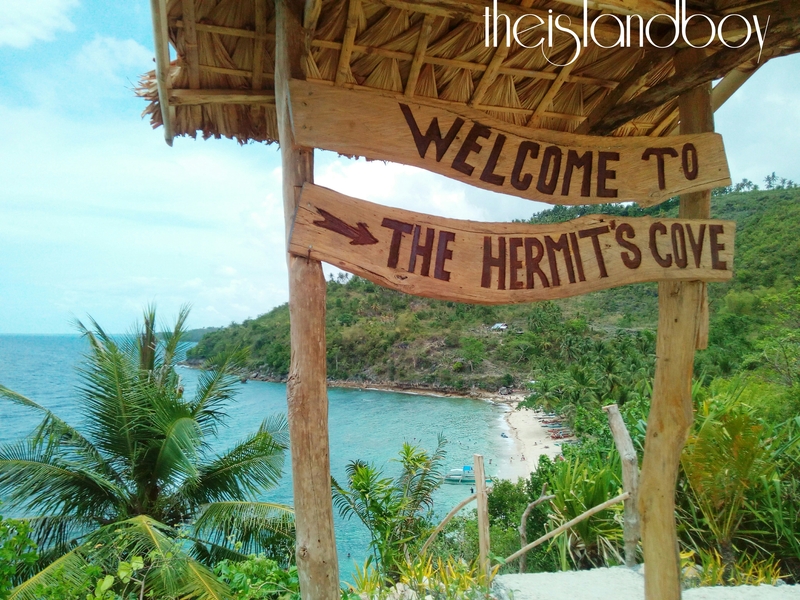 we are planning to visit Hermit’s tomorrow, is it Fiesta today in Aloguinsan, so Do you think it’s not a good idea to go there tomorrow? 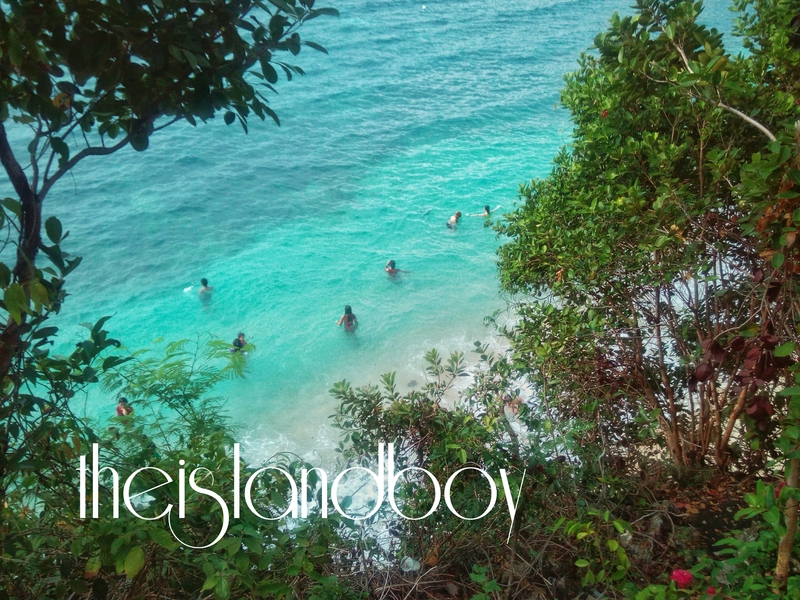 Wow, thanks much theislandboy for this post my friend and I are planning to visit this place tomorrow it helps a lot. Cheers..
Hermit’s Cove has long been penned on my bucket list. I just can’t find free time to visit this beautiful beach. Hopefully, I can make my way there soon. Amazing! I usually travel alone too.